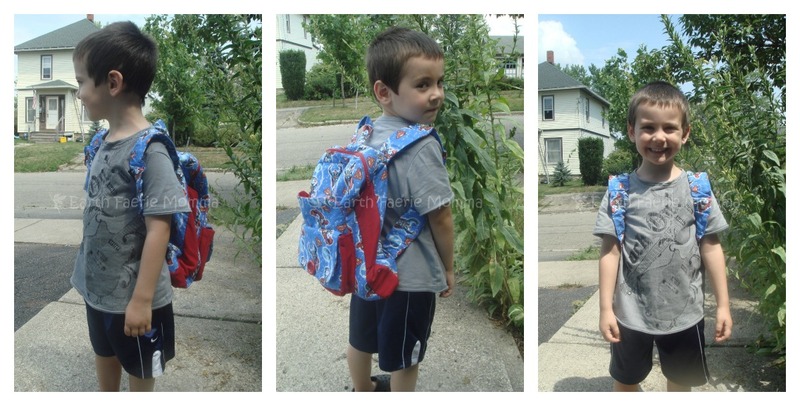 It can be hard to find a backpack that is small enough for a toddler but is still large enough to fit books for school. Plus, a lot of backpacks on the market are made with toxic material like PVC. That is why I am happy to tell you about some amazing handmade backpacks from Gifts By Annie. Betty Ann Scherrer has a wonderful little shop full of handmade goodies. She has been sewing from a very young age making doll quilts out of scraps of fabric. After working at a school she noticed all the little preschoolers were lugging around full sized backpack. She knew with her skills she could make something for them that was lighter, brighter and more age related. With the help from her friend Margi Elgin, who does the accounting, she started making and selling backpacks and other times at their local craft and gift shop in Grants Pass, Oregon called Savannah Faire. 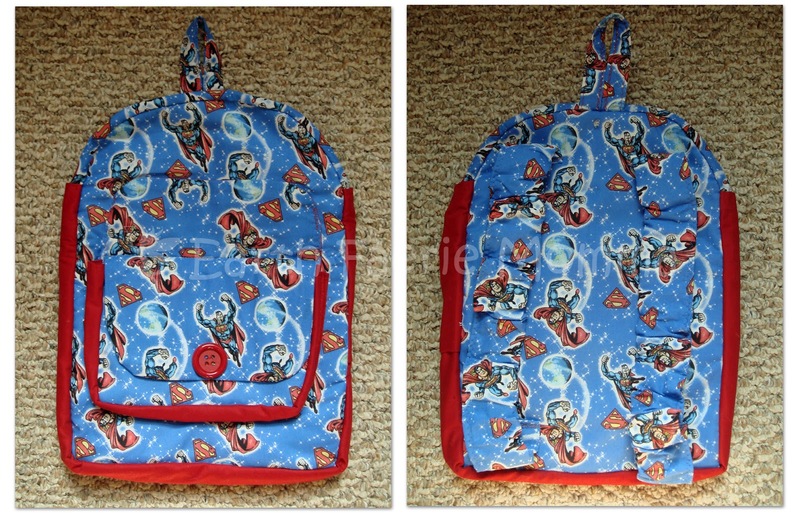 Now she has been making backpacks of various sizes and styles for about six years. Ann is passionate about bringing joy to peoples lives. She works from home, so when she gets out she loves to spend time traveling the coast with her husband and standard poodle, Amigo. 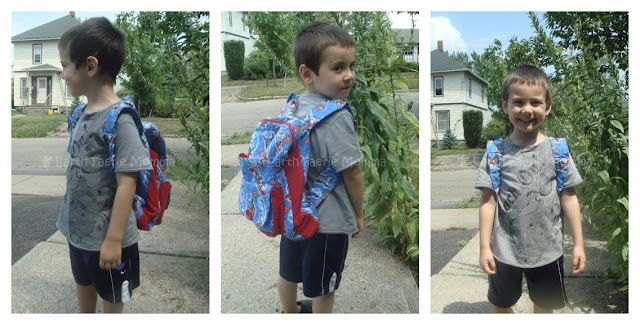 We have been testing out this awesome Superman backpack over the past month. Notice how the straps have elastic and don't adjust. This makes it easier your little ones to use the bag by themselves. Chase has been taking this backpack everywhere with him. It is easy for him to put on and take off with the unique elastic straps. It is made of cotton with a thin batting to give the bag structure. The size is perfect. You can fit several notebooks in it comfortably. It measures about 10 1/2" wide and 14" long. All of the exposed seams have been finished with a zig-zag stitch. LEFT: The front pocket with velcro. RIGHT: There is an open pocket for easy access right between the front pocket and main compartment. The inside of the bag is lined. The front pocket comfortably extends. Here is an inside view of the bag. The stitching is neat and holding up very well. If I could tweak the backpack, I would add a bigger zipper so it is easier to grasp. It is just a minor change. The backpack itself is a very well thought out pattern! I am very impressed with the work that was put into this bag. It is definitely an item that will be cherished by us for years to come. This bag would make a wonderful gift for the toddler in your life! I highly recommend one. You can find a great selection at Gifts By Annie. Come back August 17-31 for the Back To School Spree Giveaway Hop for a chance to win a prize pack including your own handmade backpack from Gifts By Annie. Open to the US & CAN. Just look for this button on my sidebar.